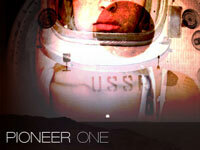 The largest P2P conglomerate ever assembled is supporting today's launch of the first episode of 'Pioneer One.' The show, made for and made possible by the P2P community, is actively promoted by uTorrent, Limewire and a variety of prominent torrent sites including The Pirate Bay and EZTV. With millions of daily users BitTorrent is a great platform for filmmakers and musicians to promote their work. One of the main challenges that independent content producers face today is not piracy, but finding ways to to get their work noticed. This is where the BitTorrent-powered distribution platform VODO comes in. By harnessing the power of all the major players in the P2P field, VODO offers a unique platform through which independent filmmakers can share their work with the masses. Downloaders on their turn are encouraged to donate if they like what they see. Thus far all the previous VODO releases have been downloaded by hundreds of thousands of people, and that’s just the start. With backing from uTorrent, Limewire and The Pirate Bay, the number of downloads for today’s release might exceed one million. VODO’s newest release is titled Pioneer One, a brand new 7-part TV-series that raised enough funds to film the first episode through donations from TorrentFreak readers and other supporters. Unlike traditional television, the sci-fi-ish series will debut on the Internet, on BitTorrent. Pioneer One is an ambitious project from Josh Bernhard and Bracey Smith who have collaborated before on ‘The Lionshare’, a BitTorrent-exclusive film which was released on VODO earlier this year. With support from even more big names than before, Bernhard, who wrote the script for the TV-series, hopes that today’s release will set a new record. “Based on The Lionshare stats and the amount of coverage we’re getting on this, I’m hoping we’ll hit a million downloads. Some have higher expectations, but I don’t want to jinx anything by putting it in print,” Bernhard told TorrentFreak. Answering the question why they chose VODO for the release of their series, Bernhard said that it was a logical choice because he didn’t expect the pilot to be picked by a network anytime soon because it’s so hard to break into that industry now. Besides this pragmatic issue, the makers of Pioneer One also believe that the Internet and BitTorrent have the future. In the old fashioned TV-system it doesn’t really matter how engaged people are in a show. Passion is not rewarded in today’s numbers game on traditional television, something that has to change. The interesting contradiction is that, thanks to VODO, Pioneer One will not be an obscure indie release at all. In the coming week more than a million people are expected to download and watch the episode – numbers most network TV-shows can only dream of. Although Bernhard hopes that a network or other sponsor will come along to fund the rest of the season, he emphasizes that it will always be released for free to the public. “Our plan has always been to distribute the whole season through VODO. That’s how we want to do it, and a big part of why this show is so exciting to us,” he said. For VODO today’s release is yet another milestone. Not only is it supported by more P2P partners than ever before, but Pioneer One is also the first release that has a commercial sponsor, MOFILM, to bring in additional revenue aside from donations. VODO founder Jamie King told TorrentFreak that now there are so many partners in place, they will put more emphasis on the network itself instead of the distribution channels. It’s going to be interesting to follow the progress of the Pioneer One project, a TV-series that is a true pioneer itself. BitTorrent has already revolutionized the TV-viewing experience for millions of people and through VODO and the high quality it brings this can only accelerate even further. In a future article will check up on the progress of Pioneer One to see if the 1 million views becomes reality. In the meantime people can download Pioneer One’s first episode on VODO.